Hokua Luxury Condo Tower – Where are the owners from? 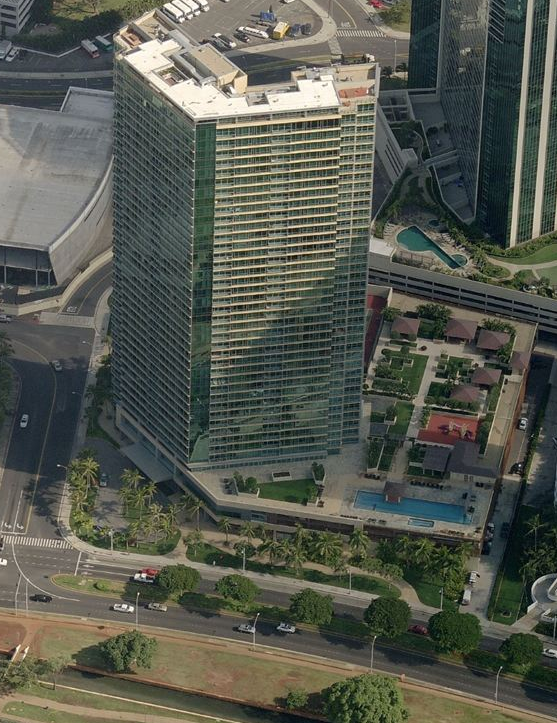 The Hokua condominium, located at 1288 Ala Moana Boulevard, is arguably Honolulu’s most prestigious high-rise address. The 40-story tower, built in 2006 as a joint development venture between the MacNaughton Group, Kobayashi Group, and A&B Properties Inc,, sits between two highly desirable shopping destinations (Ala Moana Shopping Center to the east and Ward Center to the west), and benefits from excellent ocean views over Ala Moana Beach Park. Where are the 248 Hokua unit owners from? 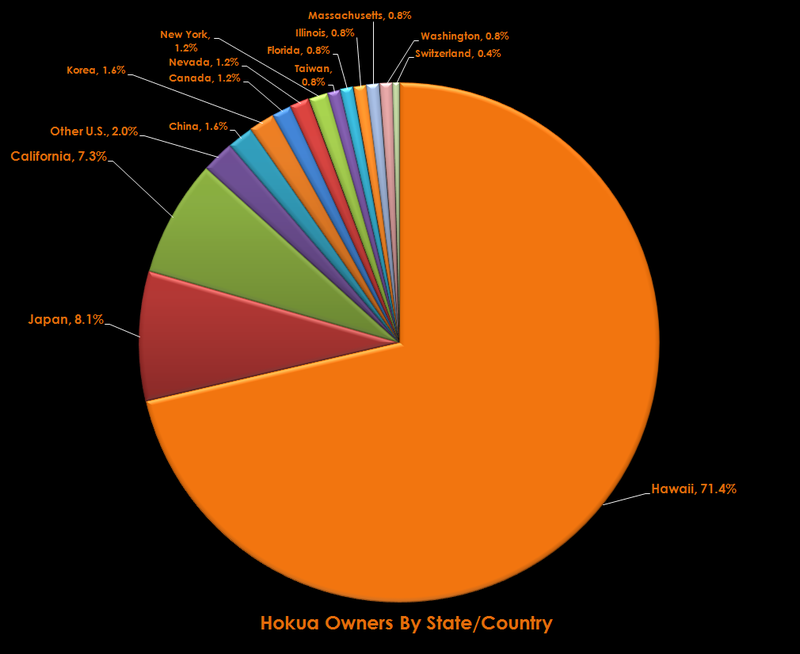 In total, 86.3 percent of current Hokua owners are US based (71.4 percent from Hawaii) and 13.7 percent are foreign (Japan leading the pack with 8.1 percent). These figures skew more toward Hawaii than I was expecting, although 35 or so units (about 14 percent) are owned by corporations, partnerships, LLC’s, or other entities that have Hawaii addresses, but are not necessarily controlled by owners who reside primarily in the Aloha State. But by and large, it appears that Hokua’s reputation as the premier luxury tower for wealthy Hawaii residents is deserved. Future articles will analyze other luxury properties to see how other prestigious developments in Honolulu compare.